Wasn’t it just 2 days ago that we were looking into the beckoning eyes of summer – and now, here we are nearing the other side – pumpkin lattes around the corner, and the anticipation of back to school pressing in. Time flies when you’re having fun…that’s what they say. Well, time flew here! It’s been a great summer, as we’ve seen so many stories continue to unfurl. The humanitarian nonprofit world is first and foremost about people, and it’s easy to forget that all of this began as ‘A Little Work of Love’ so many years ago, and now we are in our 14th year answering the calling to Love People, Because People Matter. We continue to be deeply grateful for the support and engagement from you, and wanted to share a few updates on our summer programs, along with a couple of anecdotal stories from fellow supporters…. “Sending socks because I’m just glad to still be able to help where and when I can. The ministry you’re doing has changed my outlook not only on the homeless but also of life. Thank you, and God bless.” – Ashley W.
We are continually inspired by the generosity of support, and love when we see expressions of impact, both among those we serve and our supporters. In fact, in a recent meeting at a local coffee shop with one of our BPM supporters, I noticed one of our “Loving People Because People Matter” bracelets being proudly worn. When I asked him why he wears it, he said, “It’s a visible daily reminder to love the other; a starting point for every person I talk with.” This really shows me that it all begins within each of us, and the posture we take in our daily lives. 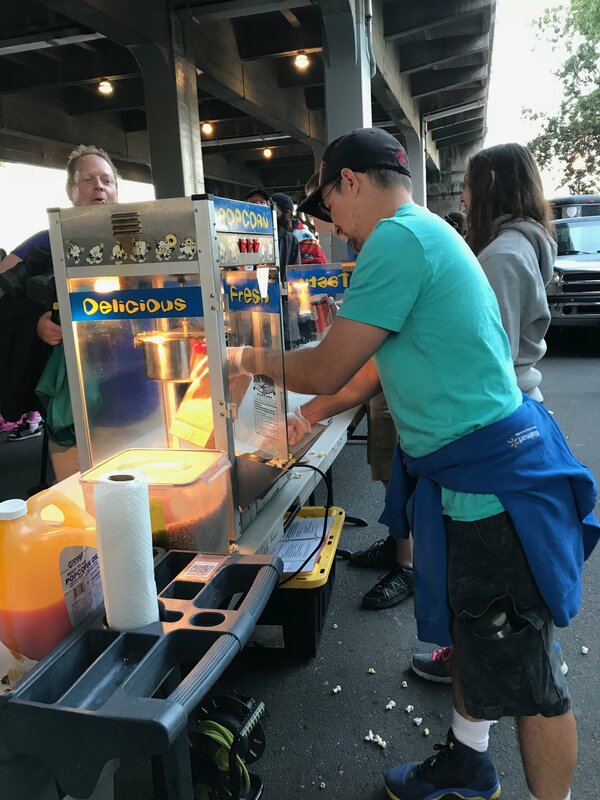 I’m glad that our little work of love is touching lives in coffee shops and on social media, just as it does under the bridge every Thursday night, and in parks over the summer months. I hope to see you at one of our environments soon, leaning in and reaching out to show compassion, letting your light shine! This summer, BTown Kids saw the launch of a 4th site out in the Rockwood neighborhood! It was delightful to see the community there being intentional to see and love their neighbors! At another site in NE Portland, a volunteer told me how he had been encouraged to serve with us by a BTown momma. She told him that she felt her children were safe from agendas and free to learn and grow. In fact, at BTown Kids, we have 3 agendas… That every child feels they are KNOWN, that they know they MATTER, and above all, that they are LOVED! I’m so glad this volunteer came to see and get behind these agendas, and that our BTown mommas feel safe among us! We endeavor in the belief that the need of the volunteer is just as important as the need of the recipient of our program’s services. Over the years Because People Matter has mobilized over 25,000 volunteers to give of themselves, and infuse hope and compassion in the hearts and minds of thousands in the Portland area. 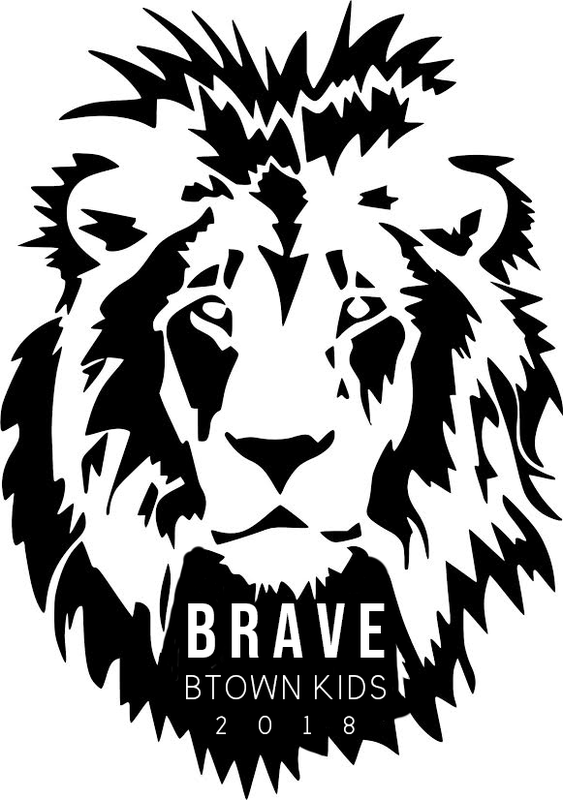 Throughout the summer, at BTown Kids and at camp, we encouraged our kiddos to explore the many ways that we can be BRAVE in our lives! At camp we learned about the faith asset and how we can be BRAVE in our faith as well! 62 children joined us, including 11 Jr Leaders who have grown up coming to BTown Kids as littles, and who want to go deeper now in their own communities! A Big Thank You to the generous donors who sponsored these awesome kiddos! Recently, one of our Night Strike guests was very outwardly upset, remarking about feeling mistreated. One of our volunteer leads did not hesitate, and turned to speak to him, addressing him by name, asking him what it was that upset him. She could hear that what he really needed was help washing his hands, as he was unable to do so by himself due to an injury. She lead him to our hand washing station and took time to lather, rinse and gently dry the gentleman’s hand, all the while speaking to him with warmth and dignity, as though he were a friend, and one could plainly see that his tension and his demeanor was softening and opening up. It is this kind of interaction that we encourage, and see often during our Night Strike program, which has the capacity to transform hearts and to lay bear for all to see, our shared humanity and our common needs. To be seen, to be engaged with, to feel a sense of dignity and worth, and to be known. Saturday, October 27 2018. – 5:00 p.m. Your participation in our Gala will ensure that our programs continue to love and serve people. Because you are so familiar with our work, you know that it takes both participation and money to sustain and grow our work. 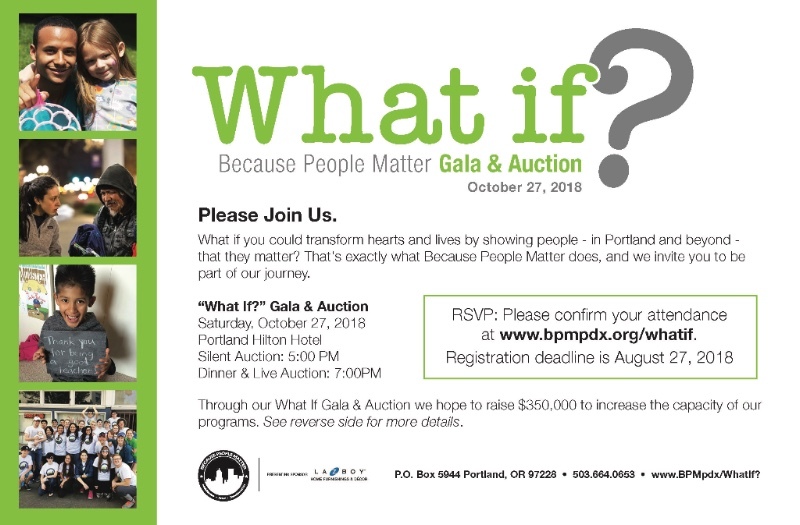 Therefore, we ask that you Help Us SELL OUT this year’s ‘What If?’ Gala & Auction. It will be tons of fun with lots of exciting auction items on which to bid! Visit our EVENT SIGN UP AND INFO PAGE! Life and love happens so fast around here! How is it possible that we are already in the middle of our summer season! We have started our BTown Kids sites, with over 250 kiddos attending our FIRST Saturday. It feels like summer can begin now ~ lots of excitement and energy, and wonderful adults interacting too! If you haven’t already done so, please like our Because People Matter page on Facebook, we will be posting regularly there, and you can see all the good stuff! With summer underway, camp comes quickly, and is shaping up to be a wonderful time too – our theme is BRAVE ~. This year, we are hoping to provide this amazing 3 night/4 day camp for 60 kiddos. 5Rock Ranch partners with us faithfully and makes it so that our budget has remained the same at $150 per kid for the last several summers – we are so grateful! I would love to invite you to partner with us once again, to bring a kid or two, or ten to camp. You are part of the reason we can even offer this ENTIRELY FREE experience to children whose entire summer highlights are found within our BTown Kids offerings! Please let me know if you have any questions about BTown Kids, or if you would like to come visit a site, or learn more about camp – we love to educate our supporters!! When I was a child, and I brought my complaints to my mother, she would often use the phrase, “Walk a mile in their shoes”. This exercise in empathy became fundamental in building the spirit that is at the core of Because People Matter, and all of the work we currently do in Portland. Imagine if you were in the margins today… maybe you lost your job and debt has finally caught up with you and there has not been decent food on your table in a while now, or for some reason or another, your friends have stopped talking to you and you feel isolated and alone. Could you sense the feeling in your gut when you see an eviction notice stuck to your door? These are the real life stories of many of the people we serve at Night Strike and in our BTown Kids & First Door communities. Circumstances do not always line up and turmoil and unrest seem to be constant companions. For some, catching a break is often an elusive pipe dream. Let’s walk a mile in their shoes together…As you close your eyes and imagine how you might feel, it’s easy to see why Night Strike, BTown Kids & First Door are so important in the communities they serve. They are each a little “Work of Love” that brings a BIG dose of hope to souls who are worn thin. Community, services, care, listening ears, youthful hope & energy are our offerings, and what makes us different from many other services available. Not only are we meeting very real needs – we are connecting at an emotional, heartfelt level. Encouraging spirits, instilling a little faith in the world, and allowing love to be tangible and real. As a BPM supporter, you’ve helped create these programs that are a catalyst for change in the lives of many in the margins. Whether the child with little or no support overcoming deficits, or the lonely person on the streets, or even the volunteers who bring the humanity to our programs, you encourage lives to be lived with more generosity, compassion and gratitude. Your contributions keep BPM going strong – now and into the future, and we have some Great News! Thanks to a generous donor, every gift made to this Spring Appeal – up to $5,000, will be matched dollar for dollar! Will you respond, and help make this match a reality? You can give a one-time ‘Spring Appeal’ contribution, or choose to setup an ongoing monthly gift. If you are not already a part of our sustaining donor base, we invite you to become part of this special community by setting up this recurring donation from your bank account or credit card. We are grateful for all of you! You are the ones who allow us to Love People Because People Matter – come and serve with us soon! She’s a passionate soul – a get-it-done, give-it-to-me, let-me-do-it sort of gal, with a gracious, natural, engaging way about her. Of course, she fits right in at BPM. If you see Alexis, SAY HI! You’ll be glad you did. The Board of Directors is excited to introduce to you the second President/CEO of Because People Matter, Lesley Snider! We have the word welcome in quotes because Lesley isn’t new to BPM, as she and her husband Marshall, our first President/CEO, founded BPM (formerly Bridgetown Inc.) fifteen years ago. Lesley has been our organizational mainstay, ensuring operational excellence for all Bridgetown and BPM functions. She is uniquely prepared for and unquestionably passionate about her new role. As most of you are aware, this past year has already been one of significant change and transition for BPM. Just over a year ago, the decision was made to merge the vision and operations of BPM with Hope Northwest. However, while the heartbeats of these two organizations is the same, it was determined that the function of BPM would continue to find its best expression as an independent non-profit. Because of the graciousness and extra efforts of Hope Northwest, BPM returned to independent status on December 15, 2017. On behalf of us all, we want to express our appreciation and continued support for the tremendous work of Hope Northwest. Most of you also know that Marshall Snider has begun a new role with The CompleMentor and C4 Group as NW Regional Director. Developing leaders has been a driving value for Marshall and is a big part of his legacy while at Bridgetown/BPM. Staff, interns and visiting groups have all been influenced by his life and leadership. This new role is what Marshall was created for. To find out more about this new adventure click here. We’re profoundly grateful for the vision, passion and untiring efforts of Marshall in his service to Bridgetown/BPM. Our lives, and the lives of those impacted under the bridge and across our city will never be the same! Marshall will continue in an advisory capacity to both Lesley and the board, and you’ll more than likely still see him at a BPM event or two. Additionally, in Marshall’s role with the C4 Group, he has reached out to the new President/CEO with some innovative partnership opportunities to further BPM’s efforts. As with all major transitions, there is both excitement and sobriety regarding the challenges that lie ahead. However, we’re confident that the exceptional qualities Lesley brings to the table will continue to uniquely position BPM as a compassionate care provider for the precious people of Portland, because each of them matter. Please be in prayer and be ready to roll up your sleeves and open your hearts as BPM embraces the future with renewed energy, focus and passion! Hello and happy holidays! We can’t believe 2017 is already coming to a close. It has been a great school year so far at Homework Club; we have seen lots of improvement in students’ literacy and have made more memories than we can count. We are so proud of students that have shown up consistently to steadily working towards their academic goals. As we count down the days to 2018, it’s natural to find ourselves in a time of reflection. In the world of education and schools, teachers are finally able to step back and thoughtfully analyze the work that has been done in order to inform future lessons. What reading levels were achieved? What concepts were understood? We measure growth, identify strengths and weaknesses, and set new goals. It can be both encouraging and disheartening, energizing and burdensome. It is a time of celebrations and resolutions. Looking out the window I see the bare branches of the trees swaying in the wind and I am reminded of a science experiment we did last month—an exploration of leaves. In the experiment, we asked the question: why do leaves change color? If you know anything about botany, you know that chlorophyll is what gives leaves their green color during the growing season. In the Fall, the chlorophyll breaks down revealing the hidden colors. Underneath the green, a wide spectrum of colors is waiting to burst forth and let its vibrancy be seen. All that is needed for the colors to be seen is the right conditions. Not unlike humans. How often do we invest the time and energy to see what is hidden? How often do we miss what someone has to offer just because it’s not visible at first glance? How often are we graded on our achievements rather than for our character? One of the joys of Homework Club is getting to see some of these colors emerge strong, true, and untainted. It is a place full of the colors just waiting to be called out to make their mark on the world. We look forward to January when we will dive back into reading, writing, and math, but even more so, we look forward to catching glimpses into the magnificent people these young students will become. What an honor it is to invest in students whose hearts are full of love, kindness, leadership, creativity, and so many other qualities that are just waiting to make themselves known. As always, we are grateful for your support and continue to invite you to be a part of our community. In my opinion, the best journies are those traveled with others. The company of friends help make the journey achievable and memorable, and for us, our staff and volunteers are the friends we sojourn with. This year, over 10,000 volunteers linked arms with over 20,000 vulnerable and marginalized, to make 2017 the amazing adventure we call “Because People Matter”! Thank you for playing a part in the story! 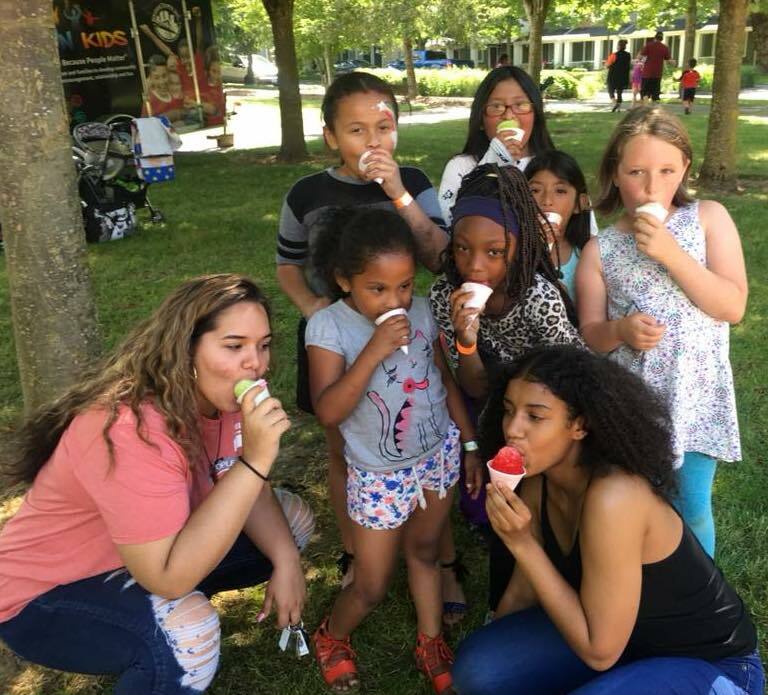 BTown Kids saw between 250 and 300 kids, and between 30 and 60 volunteersevery Saturday during the summer, along with many of their parents and guardians, at 3 different sites in Portland neighborhoods. Local communities made a difference in their own spaces, loving on their neighbors, providing meals and friendship and fun! 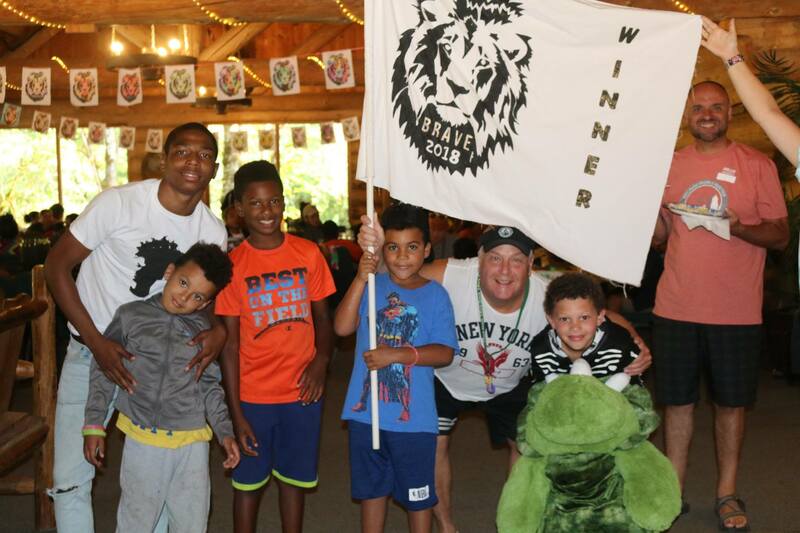 At the end of the summer, we were able to take 50 kids to camp to deepen and strengthen relationships! First Door homework club helps kids with reading and writing stability, assisting local schools by offering tutoring to 20-30 elementary kids every school day. They are a year-round, every day presence in children’s lives. We thank you for being a part of our legacy this year, we would have never dreamed of being able to journey from 2003 to now. If you are reading this, you have made it possible for us to say we have served hundreds of thousands of people over these past 14 years! What an incredible accomplishment of good. Your invitation stands to join us in 2018. There are still hungry and lonely people in our city who need to know they are known, that they matter, and that they are loved. We will strive to love even more, to serve even more, and, of course, you are invited to be a part of amazing life change in 2018! We know there are many fine non-profits out there to share your resources with. But with this invitation to give financially, comes an invitation to give your heart and your time. If you consider a tax-deductible year end gift for Because People Matter this year, know we appreciate it more than you know. We commit to being under the bridge and in the apartment complexes, and we invite you join us on the adventure of our mission, ‘Loving people because people matter”. Every year we host 47 Night Strikes. Over 7000 people are served through our ongoing services, and we can not do that without dedicated, consistent volunteers. Because PEOPLE are our first love, we value the time we spend with friends and family as rejuvenating and life giving just as much as serving our friends at Night Strike. And, because so many other groups step up to provide Thanksgiving love to our guests, we have decided to give our volunteers the opportunity to stay home on Thanksgiving. We will be back next week, November 30 for more love under the bridge!